This project is an example of how to setup an in-game settings menu in Unity. The main focus is on graphics settings, but I felt just having the graphics settings menu by itself would feel too disjuncted so I included it as part of a full menu. With this project I focused on showing how you can handle in-game graphics settings in Unity. I've seen so many games, even released ones, who just give you the Unity game launcher with "Fast", "Good", "Fantastic" settings which is bullcrap when it's so easy to do it properly. This entire project probably only took me 20 hours to complete. Unity even let's you adjust every single setting in real time without having to restart the game which some AAA games can't even do in 2015. 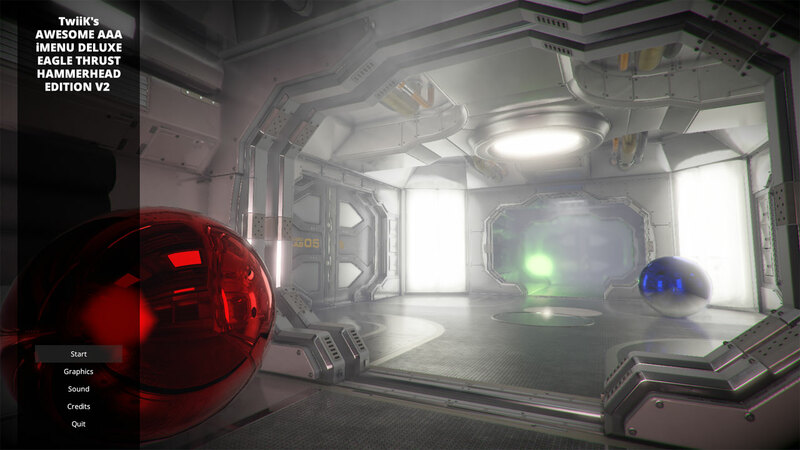 PS: I cleared the lightmap before I uploaded the project because it doubled the size of the project. So remember to bake it again when you open the project. I'm ordinarily to blogging and i really value your substance. The article has really tops my advantage. I'm going to bookmark your website page and keep up checking for new subtle elements. Free to visit https://ukessayreviews.com for any kind of writing work. Wow! Super nice! Can you make it so that it saves and loads the settings on relaunch? Most games I play like Gears of conflict or Resident Evil have your general clean, medium and hard problems even though they're typically now not categorized as such but you still get that's which. those are the video games that include achievements for completing every difficulty and I normally play on common, or medium, difficulty so I kill birds with one stone. Nice! Can you make it so that it saves the settings, because when I relaunch your demo, it resets to default.